The Weekly Review: Conquer your Overwhelm in an hour each week! Last updated April 3, 2019. Posted September 24, 2018 in Development, Featured. This post contains affiliate links. Do you perform a weekly review? Why is a weekly review important? Who should develop a weekly review habit? What should I include in my weekly review? What is the best day to complete my review? Which productivity tools should I use for my weekly review? A weekly review might be the single best way to get clear on your commitments. You can identify your ‘open loops’ and get them into a trusted task management system. This leaves you with a clear mind and no more of those nagging doubts that you’ve forgotten something. So, if it is this effective, why don’t more people devote a small amount of time each week to reviewing their progress? In this post, I will detail the process I use and the traps into which I’ve fallen while consolidating this habit. Do you feel overwhelmed by your obligations? Perhaps there are so many things in your head that you can’t focus on getting them done? As someone dedicated to personal productivity, you should consider a new strategy: a weekly review might just change your life. A weekly review is a meeting you schedule with yourself to audit your commitments, projects and appointments. You can then capture and prioritise any outstanding tasks in todo list system. You will need a reliable system for capturing the unresolved responsibilities in each area of your life. A system that will allow you to relax with family or friends (rather than worrying about something you might have forgotten). You can ‘switch off’ and trust everything will be where it needs to be. Many people use a checklist or flowchart to enable their weekly review. Having a template or guide to walk you through your reviews will ensure you don’t miss any of your areas of focus. Download a pdf weekly review checklist to use as a guide. I’ll also include an Evernote weekly review template if you prefer. You can also have a pdf copy of this post for later reading. Go to the full page to download a pdf weekly review checklist to use as a guide. Many systems for achieving goals recommend regular progress reviews, including the 12 Week Year system and The 4 Disciplines of Execution. You might consider incorporating your progress review within a broader weekly review. I first started using a weekly review as part of my practice of Getting Things Done (GTD)® (Amazon). Although I have added to and adapted my process over time, I still primarily think of it in way GTD® describes. To provide you with context, here is a YouTube clip of David Allen, the creator of GTD®, discussing the weekly review. I note that it is some years old now, so he mentions some technology that will seem anachronistic. It’s the message that is useful to keep in mind. If you’re like me, you will have a dozen different projects on the go at any one time. Maybe you’re working on a research study, or perhaps you’re renovating your home. Or you might be doing both at once, as well as reporting to a boss, supervising others and having a large number of regular reports to create. As a physician, I am continually creating lists of tasks related to patient care, as well as ‘things that need to be checked’ after a specific date. I also have a personal life, mortgage, extended family and social obligations. With all of these commitments we’ve made running around in our heads, is it any wonder we feel overwhelmed? Reviewing your commitments means you spend the time and mental energy to corral all of that information and organise it in such a way that nothing is lost or forgotten and you know what you need to do next. Free your mind and create space for deep work: it is likely to have enormous benefits for your productivity. Almost everyone can benefit from a weekly appointment with themselves, dedicated explicitly to thinking through their commitments and making sure that nothing is falling into the cracks. I schedule my review in my calendar, for 90 minutes every Thursday at 4 p.m. This is long enough that I can cover all of my various sources of open loops. 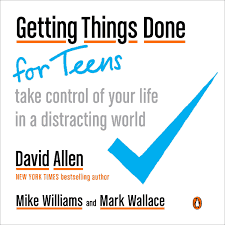 Because I started doing this a few years ago, some of my headings might not be up-to-date with GTD® if Allen has changed the language. I know what they mean though, and that’s what matters. Download a weekly review checklist to follow along with as you read. You can also copy my Evernote weekly review template if you use Evernote. Start by gathering all the pieces of paper that have accumulated during the week. Receipts, ATM statements, notes and memos all tend to find their way into my inbox, wallet and briefcase. Make sure to check and empty your physical inbox(es) if you have one, and add the paper to the pile you’ve created. The next job is to process that paper until there’s nothing left. Examine the item and decide what it means. If you need to keep it (e.g. a receipt for taxation purposes), then file it in appropriate storage. If you won’t need it you have a rubbish bin for a reason. Once you have completed the paper audit, you should have an empty inbox, wallet and briefcase. Now it’s time to move onto to your digital inboxes. When Merlin Mann coined the phrase Inbox Zero over a decade ago, he was talking about inboxes for your email addresses. Since that time the internet has exploded with all sorts of useful web applications, and they almost all come with an inbox. The first step is to audit your inboxes. Ascertain which of the services you rely upon have an inbox, and add them to a list. Each week you will process your inboxes to zero. I usually start with email, but also include my Evernote inbox (where I’ve often clipped or emailed notes to store during the week). I have several email inboxes and so deal with each in turn. My Evernote is set up with a folder structure already, thus moving the notes to the relevant folders is pretty easy. If you use a digital to-do list as I do, it will also have an inbox of sorts where tasks that I haven’t assigned to projects or appropriately tagged will reside. I review my Todoist inbox for such tasks and make sure I move them to where they belong. Finally, your work might involve file-sharing in some form, and you would include your inbox in those services in this step as well. This step involves scanning your mind for any new ideas, tasks, projects or commitments. Anything at all that has come up during the week, or that is niggling in your brain at the time. Some people would call this a ‘mind sweep’ or a ‘brain dump’. There are useful strategies to help you complete one. I reached out to my friend Zachary Sexton, author at zacharysexton.com and the host of Able Business Radio. He permitted me to embed his guided mind sweep below. Here is the episode, click the play symbol to listen. If you’re a doctor, some specific steps are needed. Review your clinic lists, endorse any outstanding results, and correct and sign your letters. 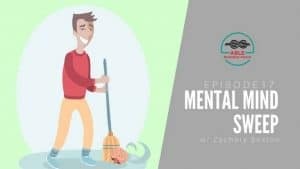 Make a note of any actions that pop into your head while you’re doing these tasks: sometimes you’ll remember something important that has slipped through your system. Once you’ve gotten clear, it’s time to get current. This part is heavily influenced by the GTD® weekly review. I use a lot of the terminology from that book and based my system mainly on the structure it suggests. I use Todoist for managing tasks and projects. I have sections dedicated to work and personal life and have many projects in each section. During your weekly review, review your progress on every one of your projects. Ask yourself: Is this moving forward? What is the next action? What have I completed this week? Is there anything I can check off? Is there any task on which I keep procrastinating? If so, does it need to stay in my system or can it be delegated to someone else or discarded altogether? Make sure to identify completed tasks and the next logical step for each project in your task manager, and then move onto the next project. By the end of this process, you should have a sense of the status of each of your projects, and an explicit next action item to do when the time is right. Your calendar can be a rich source of unresolved issues or projects. Look through your appointments over the last week and identify any meetings, conference calls or other activities that might have generated a new task. Quickly consider each meeting. Did you agree to send information to someone? Did you accept a new project or task? If you did, transfer that information into your task list or manager. Once you’ve reviewed your calendar for the past week, have a look forward for a few weeks and see what is on your horizons. Upcoming deadlines should be obvious and might remind you of an obligation you accepted but have not yet actioned. Again, transfer identified tasks into your task management app or todo list. 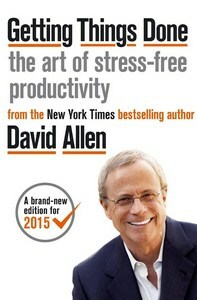 David Allen recommends having a place where you keep tasks that are waiting on someone else. In this way, they won’t be on your list given you can’t take action on them, but they also don’t fall off your lists altogether. If you are keeping a ‘Waiting For’ list, review it and consider whether you need to remind the other party they haven’t finished their part. If you have received the information or the task is now back for you to complete, you should remove it from your Waiting For list and return it to your active task list. Some people have checklists for tasks they frequently repeat, including their weekly review. Run through the checklist and make sure you’ve completed each necessary task. It should only take a minute. Some projects will become less relevant or important over time, or you might decide not to complete them at all. Reviewing your projects each week can help you clarify on which you want to focus. Something you had planned to do might not be needed any longer. Remove completed or redundant projects from your lists so that your system provides clarity rather than confusion. If you are working toward a big goal of some sort, or perhaps if you’re using the 12 Week Year system and are tracking your metrics in a spreadsheet, this is the time to review that data as well. In our interview about the concept of the “academic athlete“, Drs Eric Benchimol & Richard Keijzer both mentioned they track their Pomodoro segments completed each week as part of their review. Are you making progress on those big goals? Do you need to do better next week than this one? Are you hitting your 85% target for tactic completion? Get in touch with the ‘why’ behind each goal and review how you’re succeeding and where you’re failing to make progress. You might want to review your personal mission statement and reconnect with your values. This process should provide a big boost to your motivation for each of those goals for the coming week. What ideas have you had this week? If you track them in a digital file in Evernote or a notebook you carry with you, have a look and see what your subconscious surfaced for you to consider. Sometimes the best ideas are waiting for you to rediscover, right there in the note you wrote to yourself so you wouldn’t forget. This is also an opportunity to brainstorm. What could you do to develop your career or life that you haven’t yet considered? If you keep a Someday/Maybe list (also from GTD®), a bucket list or vision board, is there anything you want to move to an active project and start taking action on? Given you have just reviewed your active projects, you will have a good idea of how much time and headspace you have for something new and exciting! As a rule of thumb, sixty minutes will be enough for many people. I schedule a ninety-minute block to allow enough time, but this is something that might vary depending on the seasons of work or life. There are no rules for how long a weekly review must take. It’s entirely up to you and your commitments. I find that completing my review leads to increased productivity and overall improvement in my time management, despite the time commitment it requires. My suggestion is to start with sixty minutes and adjust as you proceed. Most people have a variety of obligations and commitments encompassing their work, personal, spiritual, family and social lives. If you’re trying to get your head as clear as possible, it might be helpful to clarify your commitments in each of those areas such that you finish with an all-encompassing overview of where you are expending your time and energy. I’ve outlined my approach above. Again, it might take some experimenting to find the best system that works for you. Many people conduct their weekly review on a Sunday afternoon. They feel this prepares them for their week by providing clarity on their outstanding tasks and projects and allowing them some time to set their goals for the coming week. Others prefer to review at the end of their working week so that they can enter their weekend with a clear mind. They can trust that their work will be in a ready state for when they go back to work, and they have accounted for all of their projects. It might depend on your obligations as to when you conduct your review. I have a young family and find that a weekend review isn’t ideal. I also have a clinic on Friday afternoon second weekly, which means that Friday afternoon doesn’t work for me. Thus, Thursday afternoon is when I schedule my review. That might change as my commitments change, but it works for my current mix of work and family life. Beyond those, it depends only on what tools you use in your day-to-day work and life. A checklist of steps in a weekly review could help as you embed this new habit. Download mine to use as a guide. You can also have an Evernote weekly review template if you prefer, and a pdf copy of this post to read later. A checklist of steps in a weekly review could help as you embed this new habit. Go to the full page to download mine to use as a guide. Now, imagine sorting through all of those open loops, deciding on their meaning and storing them in an appropriate system. This is what the weekly review is for, and it should lead to a sense of clarity and peace you might find unfamiliar if you’re used to the overwhelm created by hundreds of open loops fighting for your attention! One of the primary reasons people struggle to prioritise is that they can’t see the wood for the trees. They are so mired in all of their open loops that they don’t know what things look like from a higher level. When you make the time to get that perspective, you can see where you’ve been and where you’re going. Your priorities are clear, and the tasks you need to complete are laid out like a pathway. You can make active decisions about what to prioritise rather than only dealing with the emergencies that arise when you lose perspective. Get in touch with your motivations as part of your weekly review, and you will feel more connected to your goals and be far more likely to achieve them. Do you ever feel like you want to make progress on a project, but you don’t know where to start? What might it be like to know exactly what your next step is for all of your outstanding projects, such that whenever you have time to work on something you don’t even need to think what to do? Your weekly review can provide that level of clarity. By defining the next action for each of your projects, you will know what to do, and you are less likely to fall prey to procrastination or distraction. I hope that by now it is clear how useful a weekly review can be, and how I approach my reviews. A weekly review is another meeting in your schedule and, for some people, it can feel like ‘just another thing they have to do’. Implementing a weekly review has made the rest my week so much easier. I wouldn’t trade that ninety minutes for anything. By clarifying your commitments and getting clear on what you need to do next for each of your projects, you can face the whirlwind of your daily life with confidence. You will achieve more and feel calmer while doing it. Do you perform a weekly review? How has it helped you? Let me know in the comments!